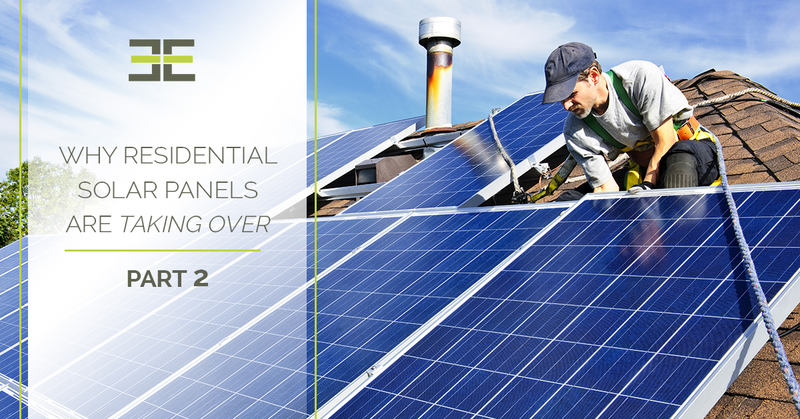 In part one of this blog series, we discussed some of the main reasons why so many American homeowners are making the switch to solar in recent years. These include energy savings and low to nonexistent energy bills, the fact that solar panels pay for themselves, tax incentives, and energy independence — but wait, there’s even more. As solar experts, our team at Endless Energy in Andrews, TX knows everything there is to know about trends in the solar industry, starting with these reasons why solar panels for homes are popping up all over the place. According to EnergySage, a study conducted by the Lawrence Berkeley National Lab (LBL) has shown that making the switch to solar panels for your home can greatly increase its value — especially when it comes time to sell the property. As it turns out, an average residential solar system for a home produces roughly 5,000 watts of power with an increase in home value of approximately $3 per watt. This means that your home could be worth up to $15,000 more than it would be if you hadn’t had residential solar panels installed, making it a sound investment for new and seasoned homeowners alike. Of course, the exact dollar amount varies by state, housing market trends, solar system upkeep, and a range of other factors, so be sure to contact our experts at Endless Energy if you have any questions about how solar shingles and solar panels can add value to your property in Andrews, TX or the surrounding Roswell, Hobbs, and Carlsbad, NM area! Of course, another main reason why so many people are making the switch to solar power for their homes is because the process has gotten much easier in the last decade. What used to be a tedious and expensive process has now been streamlined so that homeowners are more in the loop about how their residential solar panels or solar roof is designed, how they work, what results to expect, and how much it’ll cost — making the switch to solar a far less daunting process. Plus, nearly everyone knows someone who has had residential solar panels installed on their property before, so there is the added benefit of being able to draw on the experiences of someone you know and being confident in your decision rather than going it alone. Perhaps the most obvious reason why the country has seen a major influx in residential solar panels lately is because of the major push toward environmentalism and sustainability in the last several years. For decades, the U.S. has been one of the main carbon dioxide emitters worldwide, which has led many citizens to rethink their energy use. Whether or not you believe in climate change is not the point here, but rather that there is a growing population of eco-minded people who are leading the switch to solar on an incredibly large scale. As mentioned in our last blog post, careers in alternative energy now make up a significant portion of the U.S. economy, and there is no sign that the industry will quit any time soon. It’s all part of a greater recognition that we can make better use of the resources given to us by the planet and save money on our energy bills at the same time. Now that you know some of the main reasons why residential solar panels have gained popularity in the last few years, it’s time to evaluate whether or not you are ready to have solar panels installed on your property. Hopefully, this blog series has opened your eyes to the benefits of solar panels for your home, your bank account, and the environment — which is more than enough reasons to make the switch to solar. If you have further questions about the benefits of residential solar systems or would like to receive a free quote on yours, give us a call today! Our solar energy specialists would be happy to walk you through the process of having your custom solar panels designed, installed, and maintained in Andrews, TX and the nearby Roswell, Hobbs, and Carlsbad, NM areas. We love what we do, and we look forward to helping you go green!